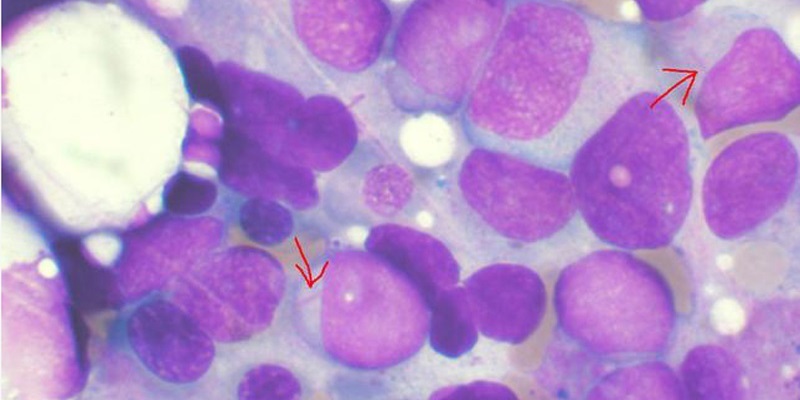 Acute myeloid leukaemia is a type of cancer of the bone marrow and the blood, where bone marrow produces abnormal myeloblasts, platelets and red blood cells. Image courtesy of Cancer Research UK. The radioactively-coated BC8 can be traced with its radioactivity at the site of cancerous growth and bone marrow. Image courtesy of VashiDonsk. Myeloblasts sometimes produce abnormal red blood cells or platelets. Image courtesy of NIH. The most common symptoms associated with AML are fever, shortness of breath, easy bruising or bleeding, petechiae, weakness and loss of appetite. Actinium Pharmaceuticals has submitted a request for pre-IND (Investigational New Drug) meeting for the drug to the US Food and Drug Administration (FDA) on 26 January 2015. The FDA granted orphan drug designation to the drug on 30 March 2016. Through a leading European regulatory affairs consulting firm, Actinium Pharmaceuticals submitted a request to the EMA to pursue orphan medicine designation for Iomab-B on 11 March 2016. If approved by the FDA and the EMA, Iomab-B will be the first drug to receive approval in decades for the treatment of relapsed and refractory acute myeloid leukaemia in elderly patients. The drug has already completed a number of physician sponsored clinical trials to evaluate its potential in conditioning AML prior to haematopoietic stem cells transplantation (HSCT) in a variety of blood cancers. 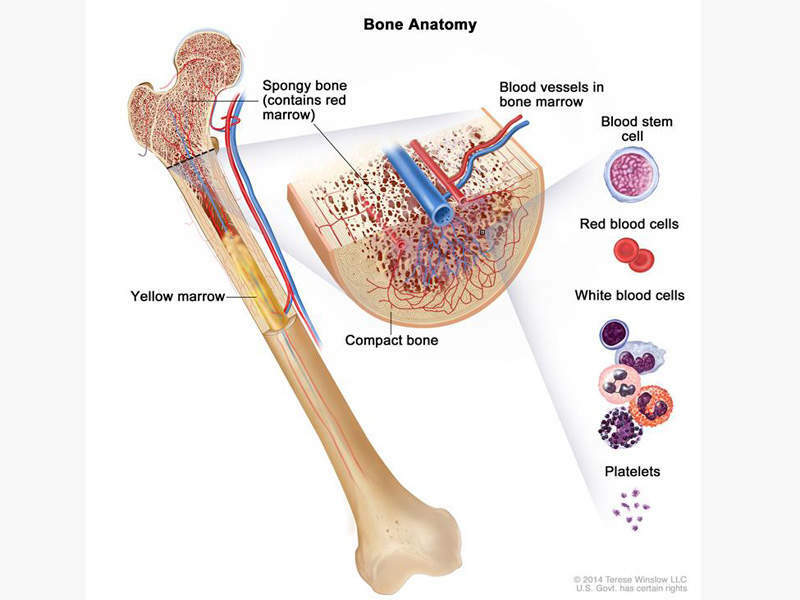 Acute myeloid leukaemia is a type of bone marrow cancer and the blood where bone marrow produces abnormal myeloblasts, platelets and red blood cells. It is the most common type of leukaemia that affects adults. 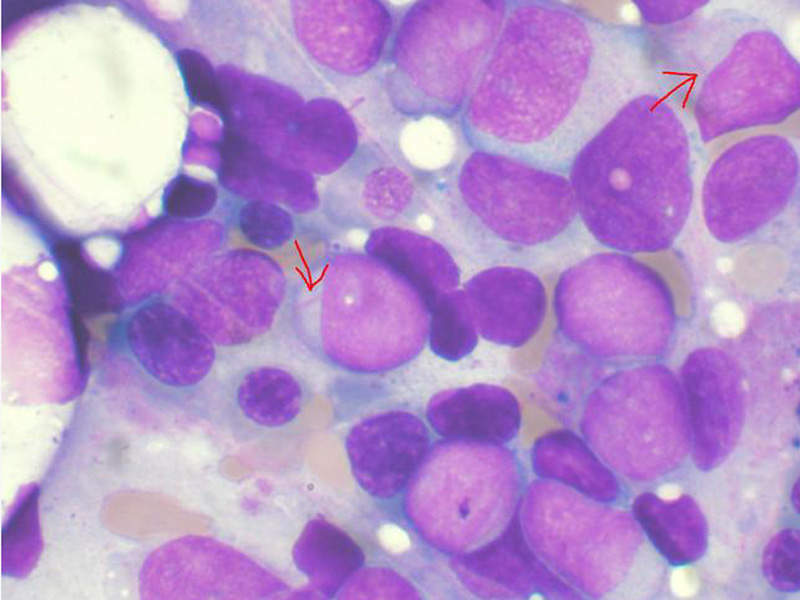 Acute myeloid leukaemia is also known as acute myelogenous leukaemia, acute myeloblastic leukaemia, acute granulocytic leukaemia and acute non-lymphocytic leukaemia. 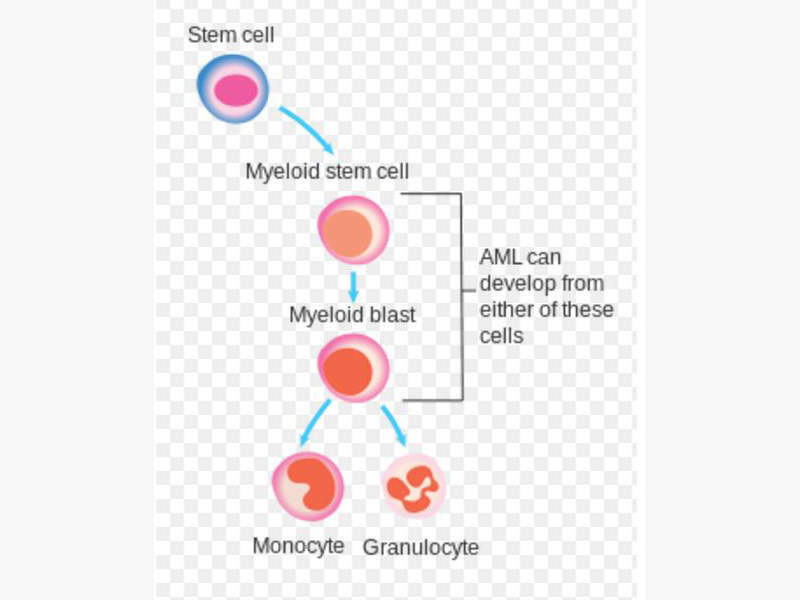 It is a condition in which the myeloid stem cells develop into immature white blood cells called myeloblasts, inhibiting the formation of healthy white blood cells and also occasionally producing abnormal red blood cells or platelets known as leukaemia cells or blasts. This can cause infections, anaemia, or easy bleeding, and these leukaemia cells tend to spread out to other parts of the body such as brain, spinal cord (central nervous system), skin and gums. 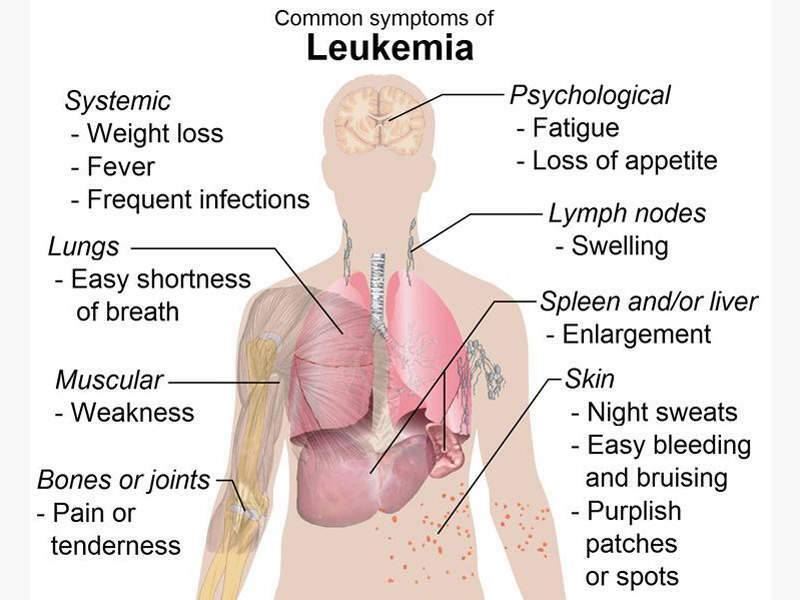 The most common symptoms associated with acute myeloid leukaemia are fever, shortness of breath, easy bruising or bleeding, petechiae, weakness and loss of appetite. Iomab-B is a radioimmuno conjugate of a murine monoclonal antibody called BC8 and an Iodine-131 radioisotope. Developed by the Fred Hutchinson Cancer Research Centre, the monoclonal antibody BC8 targets the CD45 (transmembrane protein tyrosine phosphatase), a pan-leukocytic antigen expressed on all leucocytes. The radioactively coated BC8 can be traced with its radioactivity at the site of cancerous growth and bone marrow. The monoclonal antibody targets the white blood cells in preparation of haematopoietic stem cells transplantation (HSCT) for a number of blood cancer indications such as acute myeloid leukaemia (AML), chronic myeloid leukaemia (CML), acute lymphoblastic leukaemia (ALL), Hodgkin’s disease (HD) and multiple myeloma (MM). The Phase 1 and 2 studies in approximately 300 patients with relapsed and refractory AML have demonstrated the efficacy of Iomab-B as a conditioning regimen prior to HSCT. "Actinium Pharmaceuticals submitted a request to the EMA to pursue orphan medicine designation for Iomab-B on 11 March 2016." 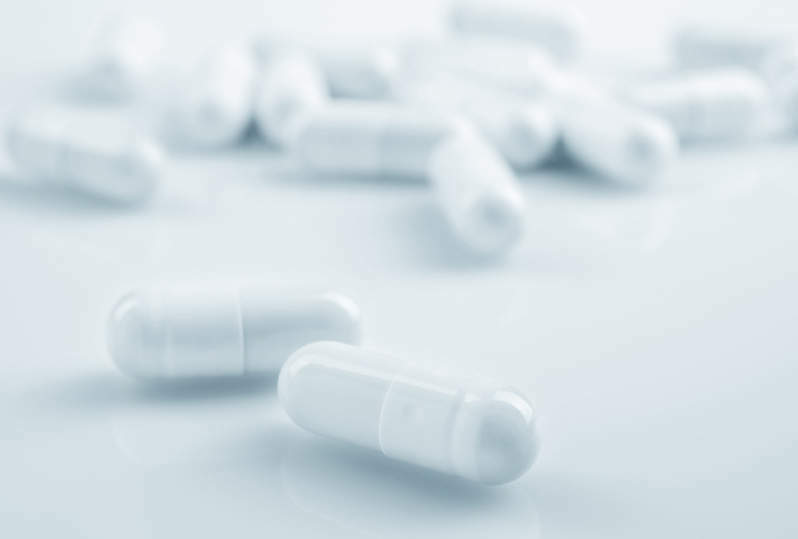 Actinium Pharmaceuticals will submit a biologics license application (BLA) to the US FDA based on the results from the SIERRA clinical trial. The SIERRA trial will be two-arm, randomised, placebo-controlled, multi-centre, pivotal phase 3 clinical study to evaluate the efficacy and safety of Iomab-B in patients with refractory or relapsed AML. The estimated enrolment for the trial is 150 with 75 patients randomised to each arm. One arm will be randomised with Iomab-B prior to haematopoietic stem cells transplantation (HCT) and the other arm will be randomised with conventional drugs such as Azacitidine, cladribine, clofarabine, cyclophosphamide, cytarabine, daunorubicin, decitabine, doxorubicin, etoposide, fludarabine, hydroyurea, idarubicin, L-Aparaginase, mitoxanrone and thioguanine. The primary end point of the trial will be the durable complete remission for at least six months and the secondary endpoint will be overall survival after one year. BIOCON provides expert preclinical animal services to the biomedical research community. Our over 30 years of experience in providing quality housing, breeding, and technical manipulations of research animals is unsurpassed.